Hosted by the Briscoe Center for American History, the Dan Rather Legacy Project features a broad selection of materials organized in topical sections to illustrate the breadth and impact of Rather's career. These include production notes, original clips, transcripts of shows, press reviews, photographs, and artifacts from a dozen collections, as well as oral interviews with Rather's former collaborators. The result is a comprehensive overview of his career and the evolution of broadcast news as well as a snapshot of major moments of American history in the last half century. The Dan Rather project made extensive use of the Briscoe archives, using papers from our growing News Media History collections: Walter Cronkite, Steve Glauber, Marion Goldin, Christopher Martin, Leslie Midgley, Harry Reasoner, Andy Rooney, Phil Scheffler, Sanford Socolow, Joseph Wershba, Charles Wolfson, and Susan Zirinsky. The project also utilizes our extensive Photojournalism collections with the work of the following photographers: Eddie Adams, Jerry Adler, Ronald T. Bennett, PF Bentley, Dennis Brack, Arthur Grace, Dirck Halstead, Shel Hershorn, Bruce Hoertel, Cynthia Johnson, Frank Johnson, Russell Lee, Wally McNamee, Robert McNeely, James "Spider" Martin, Matthew Naythons, Jeff Newman, Lucian Perkins, Bruce Roberts, Flip Schulke, David Valdez, Stan Wayman. 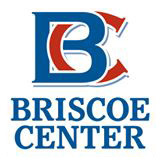 In addition, the Briscoe Center sat with nine of Dan Rather's former collaborators in 2015. Conducted by Dr. Christelle Le Faucheur, these interviews shine light on the news making process. The interviewees share insights on how to produce a broadcast in war-torn Somalia, unveil the key to landing interviews with Saddam Hussein or the Dalai Lama, talk about the importance of “working your sources” and what meshing is, and what tone Rather strived to achieve during shattering events such as 9/11. They also share personal stories about Rather and reflect on his career and his legacy. These interviews form the "Dan Rather: American Journalist Audio Files" collection housed at the Briscoe Center. We welcome researchers from all over the world and we present extensive exhibitions, seminars, and tours for our students, parents, and alumni as well as various visiting groups. We strive to be a source of education and enrichment for members of the university and local community as well as all our visitors. The archives collections is made up of historical and recent items, including but not limited to: yearbooks from 1910 on, the school newspaper, The Houstonian, bulletins and catalogs for undergraduate and graduate students, presidential papers from the various Sam Houston State University presidents, historian and professor, J. L. Clark Collection of Texas materials, student handbooks and directories, newsletters, alumni association related materials, university reports, Texas State University System Board of Regents reports, historic photographs from across the years, commencement videos and commencement programs, blueprints, the C. C. Springfield negatives collection, and many more items.